We saw in the previous post that MySQL likes memory. We also saw how to perform operating system checks and some configuration changes for Swap and NUMA. Today, we will check what MySQL server can tell us about its memory usage. Introduced in MySQL 5.7 and enabled by default in MySQL 8.0, the Performance_Schema‘s Memory instrumentation allows us to have a better overview of what MySQL is allocating and why. Pay attention that there is a bug related to how InnoDB Buffer Pool statistics are accounted in Performance_Schema. This is fixed in 8.0.13. When using InnoDB, one of the most important component is the InnoDB Buffer Pool. Every time an operation happen to a table (read or write), the page where the records (and indexes) are located is loaded into the Buffer Pool. This means that if the data you read and write the most has its pages in the Buffer Pool, the performance will be better than if you have to read pages form disk. Also don’t forget that when there is no more free pages in it, older pages must be evicted and if they were modified, synchronized back to disk (checkpointing). So when all the data you need is present in the Buffer Pool, we say that the working-set fits in memory. You can have a data-set of 3TB (with a log of historical data that is never queried) but a working set of several GB or even less. 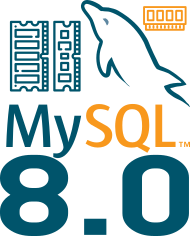 Since MySQL 8.0, if you have a dedicated server for MySQL, you can let MySQL configure the size of the Buffer Pool for you by setting innodb_dedicated_server to ON. Has you can see for the moment on this server the working set fits in memory as there are still plenty of free pages in the InnoDB Buffer Pool. We can see that for 60 seconds, there were 5175 page read and all were served by the Buffer Pool which is great ! You can find similar information from the output of SHOW ENGINE INNODB STATUS on the Buffer pool hit rate line. 1000 / 1000 is the number you want to see there. If you see permanently a lower number, then you should consider reducing your working-set or increasing your Buffer Pool. Of course temporary tables also use the memory. You can see that some Temp Tables were created in memory. You can find the statements creating them querying the table statements_with_temp_tables. To limit the size of RAM used for one temporary table (the amount of temp tables is not limited), there are some configuration variables that can be used. Of course it depends of the Temporary Tables engine used. 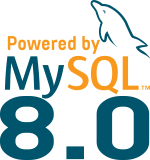 Before MySQL 8.0 only the MEMORY engine was available, in 8.0 the new TempTable engine is available and used by default. With MEMORY engine the max size of a table in memory is limited by the lowest value of these two variables: max_heap_table_size and tmp_table_size. Once the size exceeded (or incompatible types of fields), the temporary table goes to disk. For TempTable engine, that allows VARCHAR columns, VARBINARY columns, or other binary large object type columns (supported as of MySQL 8.0.13), the variable temptable_max_ram limits the size of the table. We can see that only one temp table has some records as it was a bit larger than 4k. And finally, there are Caches and Buffers that use some amount of memory. Some are globals and easy to identify them like binlog_cache_size, what is important to know is what a user can use as memory and see if the max_user_connections should be reduced. The following statement is also very interesting to have an idea of the allocated memory per user. That’s also why I encourage to have a different user per application. I hope you now understand a bit more how MySQL handles memory, why it’s not recommended to oversize session buffers, and that a new Engine is available for internal temporary tables (TempTables).